Book your river cruise your way with the Travel Team’s Simple and Easy Pay. With just 4 simple steps you can pay for your dream river or small ship cruise vacation. Call travel team at 1-800-788-0829 and speak to one of our expert cruise planners. Travel team agents will plan all the details for you and make sure you get the best value for your cruise vacation. To hold your stateroom, your deposit amount will be based on the amount required by the cruise line you have chosen to sail on for your vacation. Your travel team agent will set up a payment plan schedule for you to pay. 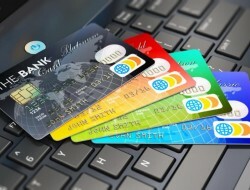 All of your payments are made using your credit card. There are no hidden charges or fees. Step 4 You get to relax and sit back while you get ready for your amazing cruise vacation! Once you set up your payment plan, there is nothing more to worry about. Your travel team agent is with you every step of the way to answer any questions you may have about your cruise vacation. The perfect way for you to pay for your cruise vacation. 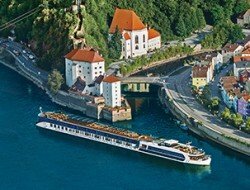 Many people who are interested in river and small ship cruising appreciate the ability to make payments along the way; this takes the hassle out of the process and there are no hidden fees. This makes booking your dream river or small ship cruise a breeze! Ask a travel team agent for details by calling 1-800-788-0829 today! What cruises are eligible for the easy pay option? Any cruise that is 7-days or longer bought thru travel team is eligible. Will my cruise price change? No way, once you book your cruise the price will stay the same. Are there any hidden fees to use this option? Your deposit is determined by what the cruise line you choose to take your vacation on requires to hold the cabin. Once you are signed up, travel team does all the work for you. Can I cancel the Easy Pay Option? Yes, just contact your travel team agent to make any changes. You would however need to pay the cruise companies cancellation penalties if the cruise is cancelled. You can browse cruises here and get started on finding your perfect cruise!